A dry weekend with hazardous water conditions. The weekend will be dry, cold, and windy. Highs will only be in the single digits to 20’s with lows in the negatives to teens. Saturday will be the coldest. Winds will also be gusty. 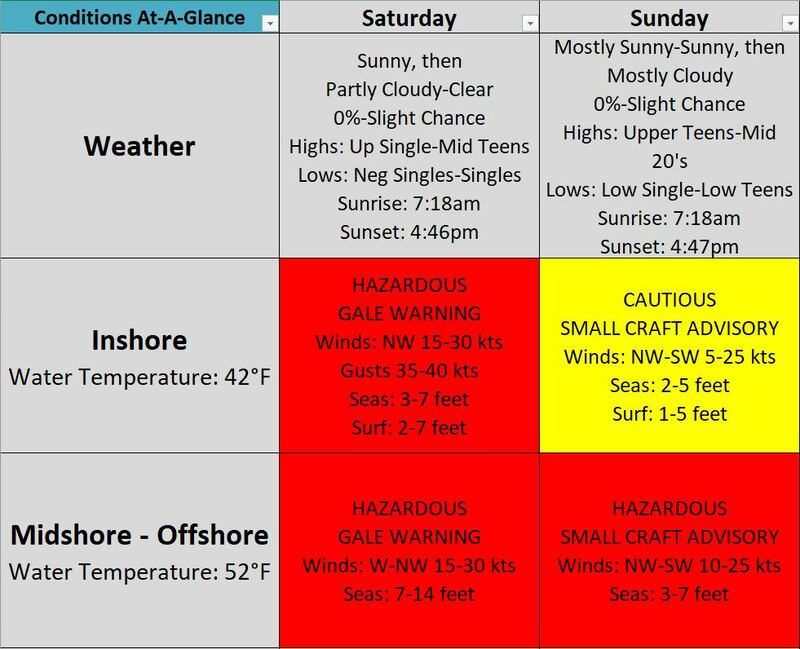 Water conditions will be hazardous with Gale Warnings on Saturday and Small Craft Advisories on Sunday. move offshore Sunday night as low pressure moves across southern Canada. A cold front will cross the area Monday night. More high pressure builds in for the middle of next week.